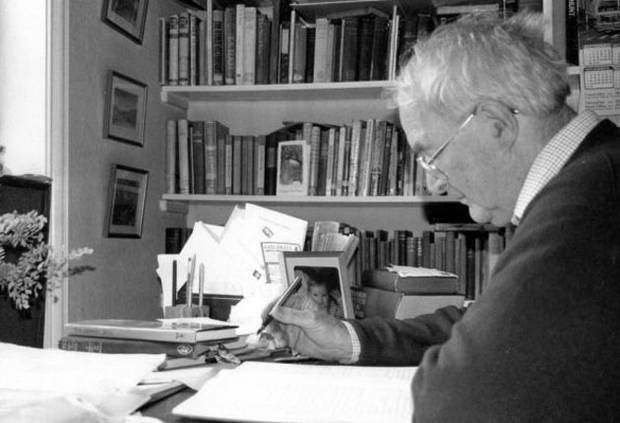 A quick google of “Stanley Middleton” produces his obituary as well as several pieces which confirm that he is now one of those British writers who seems to have sunk into relative obscurity, despite a re-release of several of his books. Yet he was jointly awarded the Booker Prize in 1974, with Nadine Gordimer, for the novel “Holiday”. He was prolific too. Middleton wrote 44 books his lifetime, the last published only a year before his death in 2009; he was 90. But it’s not his output that impresses me today. No, it’s his routine. For most of his life, Middleton was a full-time teacher at a local Nottingham high school. Apparently he would teach all day, go for a walk, do his preparation and marking – and then write. This was his day. Every day. Well, every week day. Teach, walk, mark, write. Teach, walk, mark, write. I can remember coming home from a day’s work at school. I was generally shattered. Worn out. I couldn’t think about anything. I was only up to eating, a bit of television, a bit of reading and then bed. I got up in the morning to do whatever I had to do for the day ahead. I just can’t imagine switching from teaching all day to writing at night – both things demand full concentration. But then, we do all have our own routines. Celia Blue Johnson has written an entire book about writers’ routines (it’s called Odd Typewriters), and she’s certainly collected some odd ones. According to Johnson, James Joyce often wrote in crayon on pieces of cardboard. Schiller wrote at night and dipped his feet in a tub of cold water to stay awake. Collette de-flea-ed her dog each morning before starting to write. Jack London wrote a thousand words a day, every day, all of his writing life. Voltaire drank up to 40 cups of coffee a day. When living on Guernsey, Victor Hugo used to write from early in the morning, eat lunch and then run and swim naked in the sea. Jack Kerouac wrote On the Road on a long scroll, rather than on separate pages. By contrast with these eccentricities, Middleton’s routine of post-teaching novel-writing looks eminently sensible. Yet the key point of course is that these are routines. The writers in Odd Typewriters, all of them productive and published, found a way to write that suited them. They were habituated to writing at particular times, using particular writing equipment, with particular accompaniments. They had worked out their own idiosyncratic self-managing processes. it is this irregular regularity that academic writers need to achieve too. Sometimes I think that our community is too fond of telling each other the best way to write – do this, do that – and I wonder if there is a tendency sometimes to read people’s sharing of their academic writing practices as if they were prescriptions. It’s clearly helpful to know what other people do, and to hear about different #acwri strategies – you can then try them out for yourself to see if they work for you. However, you ought not to feel bad if they don’t. And just because it doesn’t work for you doesn’t make it wrong. What I think we can say with some certainty is that it’s the regularity of writing which seems to count. It’s the routines that you set up which will make you productive. So I’m certainly not about to start copying Stanley Middleton’s routine. I admire it, sure. But I like my own habituated early morning writing, and it works for me. I am, however, steadily reading my way through Middleton’s novels. This entry was posted in academic writing, Stanley Middleton, writing routine and tagged Pat Thomson, Stanley MIddleton, writing routine. Bookmark the permalink. Another really helpful thing you mentions is a ritual to start writing, whether it’s going for a walk or de-flea-ing the dog (or drinking a cup of tea, or …). It takes some time to attain a habit (much more than just 30-days, with huge variance). But it’s the thing to go for if you want to be creative. Of course, it also depends on how you use the writing time. And in general — yup, there’s a difference between rules (write regularly) and the expressions (how you manage your needs bests to be able to write regularly). If it were all the same, it would be … boring, and easy, and not worthy of appreciation. Personally, I think of writing tips (or creativity tips in general) as tools in a toolbox. Which tool to chose depends not only on what you want to do, but also what you are comfortable with using. But in any case, it’s helpful to know the range of tools available. Thanks for reflecting on this, Pat. Very interesting. thank you, Daniel too. 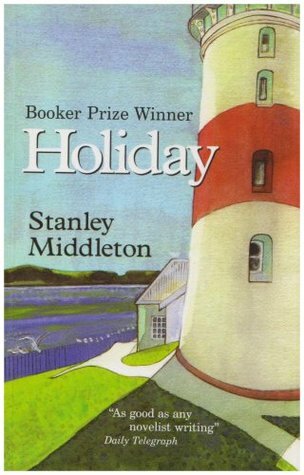 I’ve just stumbled upon this and couldn’t resist mentioning that Stanley Middleton was my English teacher. He was a lovely, witty man who was very popular at High Pavement. I seem to recall an interview where he also said he aimed to write a thousand words every morning before setting off for his day job!